Putting together a custom package for your students just became easier! You can now select more than one course at a time when adding courses to a custom package in our Learning Management System (LMS). 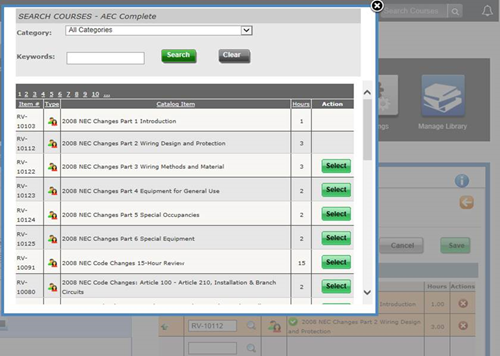 To see this new feature, visit Manager View > Manage Library > Courses Packages > Add/Edit Package. To select multiple courses without closing the popup window, choose the “Select” button next to each course title.